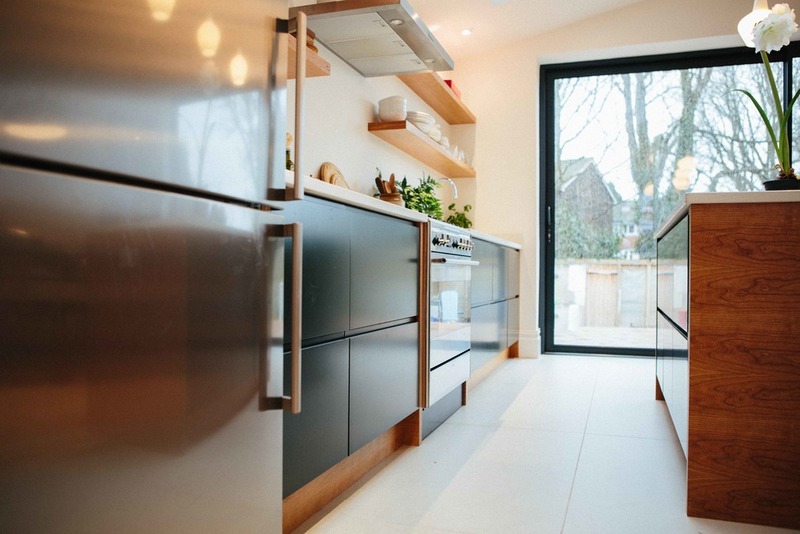 "We have just had a brilliant experience having our kitchen made by Tom and Malcolm. They are based locally and like others here I would highly recommend them. We really liked how they worked. They were professional, communicative, reliable (unlike pretty much everyone else involved in our never ending house renovation!). They were also perfectionists who we felt paid close attention to the finish and quality." Chloe. 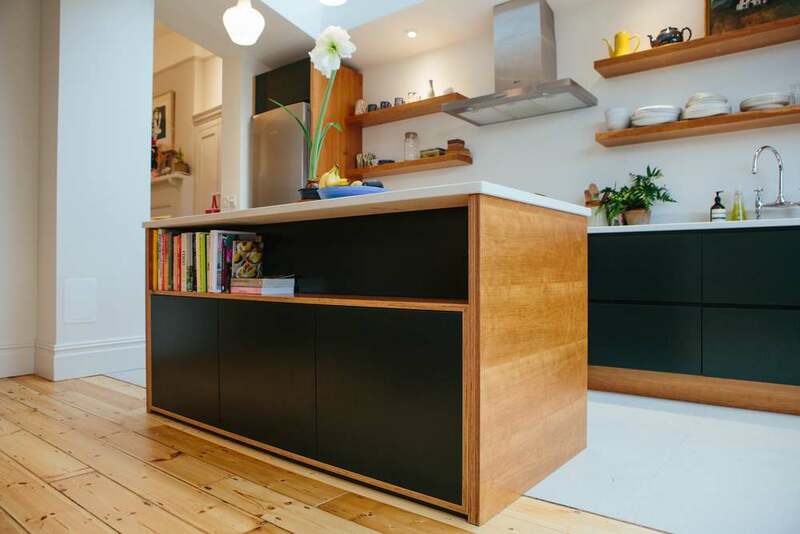 The dark Farrow and Ball Studio green handleless drawer fronts contrast beautifully with the cherry veneered birch plywood end panels in this West Dulwich kitchen. It's a gorgeous yet understated kitchen design, well complemented by the client's choice of reclaimed pendant lights and birch ply kitchen table.